A luxury vacation with all the comforts of home. 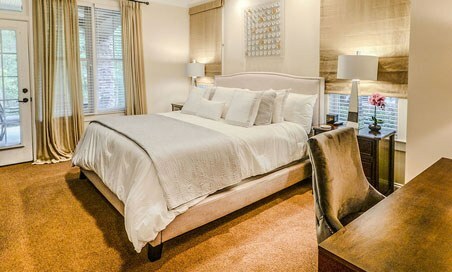 Reynolds vacation rentals offer you a resort-style vacation with all the comforts of home. Accommodations are available to host anything from a family getaway to an annual golf retreat with friends to a romantic getaway for two. These well-appointed cottages and condominiums provide the perfect introduction to the lifestyle that our club Members enjoy on a daily basis. Charming four-bedroom cottages featuring expansive porches with spectacular golf views. Three or four bedroom cottages located within the heart of The Landing amenity complex. Two or three bedroom condominiums offering a spacious retreat for families and smaller groups. “Delightful” and “charming” describe Reynolds’ four-bedroom, four-bath vacation cottages located in the National Village. With furnishings and interiors that convey a warm, sophisticated style, the cottages are tastefully appointed with comfort in mind. Designed to comfortably accommodate eight, each cottage features four bedrooms, four and a half baths, two open living spaces, a full kitchen and a dining room, along with an expansive porch with spectacular golf views. Conveniently located within a short walking distance of The National Tavern, the golf practice facility and the Fazio course, the National Club Cottages are ideal for your next stay. 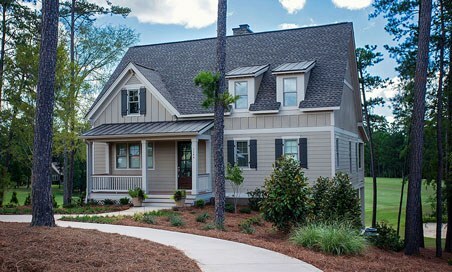 These charming cottages are located in the heart of The Landing community within Reynolds Lake Oconee. The Landing Cottages surround The Village at The Landing — an amenity complex consisting of a clubhouse with a restaurant serving lunch and dinner, a golf shop, a Bob Cupp-designed golf course, a playground and bocce ball, pickleball and tennis courts. Ranging from three to four bedrooms, The Landing Cottages are available with a woodland, golf or lake view. The condominiums at The Village at Lake Club Pointe provide spectacular golf, lake and woodland views. These spacious residences are located near a full-service marina and an award-winning tennis facility. 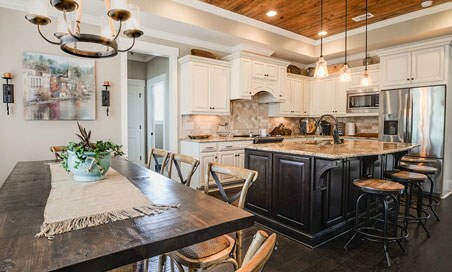 They also provide immediate access to over 21 miles of walking trails and gracious outdoor living spaces from which to take in the beautiful views of Georgia’s lake country. These two-bedroom, two-bath or three-bedroom, three-bath condominiums feature fully equipped kitchens, dining areas and living spaces perfect for both families and smaller groups. Ready to pack your bags? You can call 800-800-5250 or use the form below, and a member of our team will reach out to assist in planning your perfect visit to Reynolds Lake Oconee.